Rezai, Maryam. Dēnkard IV. Transcription, Translation and Glossary. Elmi Publication. Tehran: 2014. Dēnkard “Acts of the religion”, divided into nine books, is a summary of knowledge of the Zoroastrian religioni, written in Middle Persian (Pahlavi), from which, the first two and the beginning of the third books are lost. Two compilers of Dēnkard are known to us, Ādurfarnbag ī Farroxzādān, first author and Ādurbād Ēmēdān, second author and compiler of the Dēnkard in 9th-century. The Dēnkard is primarily an apology for Zoroastrian religion, more specifically, Dēnkard IV, the shortest, is a text dealing with different subjects regarding the customs, arts, and sciences, which is from the same genre as one chapter of Book III. It consists of a philosophical thoughts on the aməša spəntas; an account on the role of the Persian sovereigns in the defense of Mazdayasnian Religion from the Achaemenid Darius III up to Husrauw I; some thoughts on limited and limitless time, fate, action, and free will; some thought on learning Avesta and its commentary; on arts; on the four casts of poeple; as well as on the more abstract concepts of metaphysics, e.g. considerations on the afterlife, the necessity of Mazdayasna religion and the zoroastrian ethical triad. 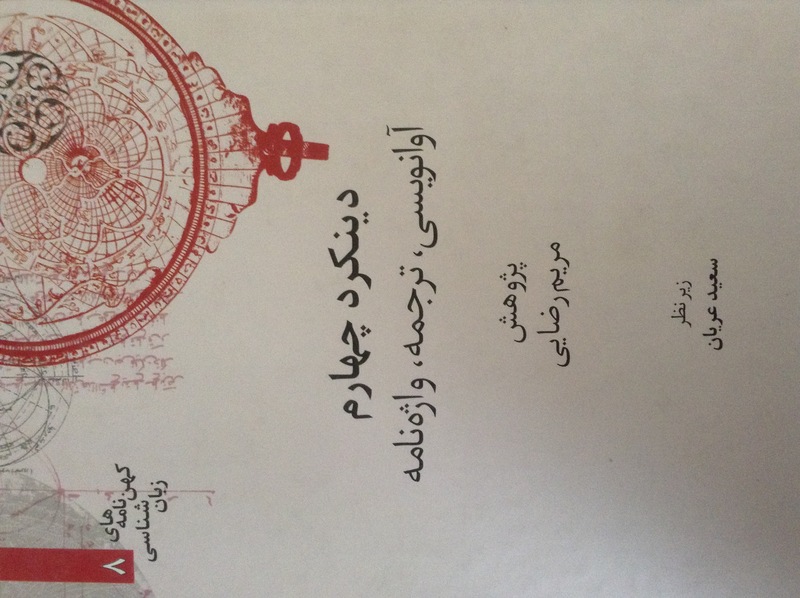 This volume contains a transcritption of the Dēnkard IV based on the Madan Edition as well as a Persian translation following by a facsimile of the printed Pahlavi text and a Pahlavi-Persian glossary.